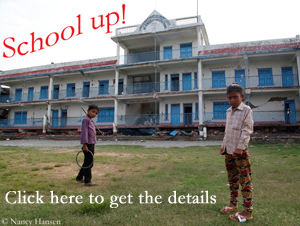 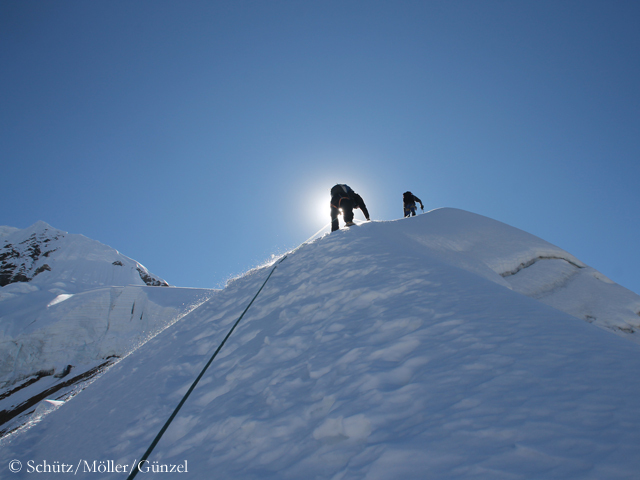 It does not have to be the Lhotse South Face. For strong and ambitious climbers, who neither belong to the “extremes” nor the professionals, the Himalayas also offer other attractive destinations to experience great adventure. 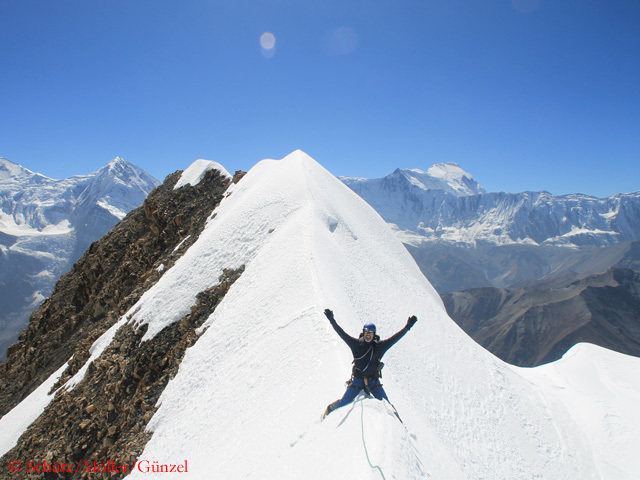 Three of my buddies from the first ascent of Kokodak Dome in 2014 proved that in Nepal this fall. 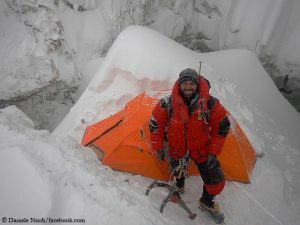 On 19 October, Jürgen Schütz, André Günzel and Manuel Möller, together with the Nepalese Dawa Gyalje Sherpa and Pasang Gomba Sherpa, succeeded the first ascent of the West Ridge of Chulu West. The 6,419 meter high mountain is located in the area around the eight-thousander Annapurna. 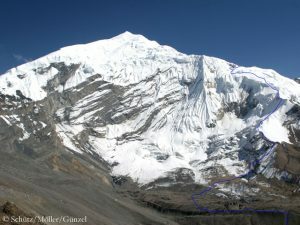 Chulu West, first climbed in 1952 by a Japanese expedition, is a popular “trekking mountain” without major technical difficulties – but this only applies to the normal route via the Northeast Ridge. The three Germans and the two Sherpas decided to descend to the base camp via the newly opened route and to take the equipment from the depot with them. 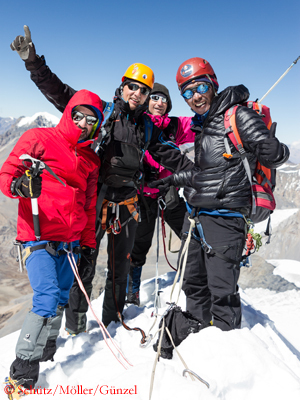 Two days later, the five climbers made up for the summit success. 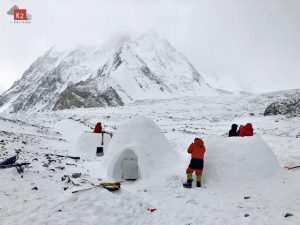 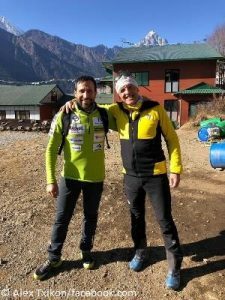 Without any high camp they ascended via the normal route to the highest point and descended to the base camp within a total of 14 hours.